There are moments that are life changing. One of those moments here on Wallace was finding out we are having twins. All of a sudden, our three bedroom house wouldn’t be big enough for us. It was time to sell. The challenge we faced was selling a house with kids, without totally losing our minds. I’m not going to pretend it was easy. Selling a house is hard work, add kids into the mix (and a pregnancy) and you start to wonder if you are bonkers. 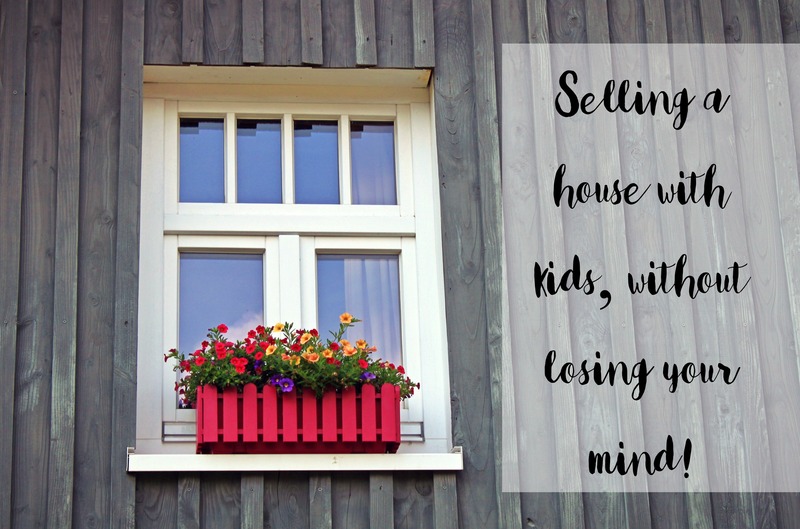 Here are my tips for selling a house with kids and staying sane! If I was a pessimist, my number one tip might be, don’t do it. Obviously, choosing the right agent is crucial to the successful sale of your property. I personally think it’s even more important when you’ll be selling your house with kids underfoot. Finding an agent that understands the pressures and demands of kids will make the process much simpler. You need to think about when your house looks good, in terms of light etc. BUT you need to also pick a time that works with the kids. Too late in the day for us and the house would be destroyed/we’d be forced to be out all day. With the help of our agent we went with 11-11.45. That gave us plenty of time to tidy the house and get out in the morning, but allowed us to come home in time for lunch/day sleeps and to relax in the afternoon. Avoid evening inspection times unless they are essential. Getting kids out of the house in the middle of their night time routine is a recipe for disaster! Selling a house with kids isn’t simple. You need to have the house in perfect condition for initial meetings with agents, the photos and open homes. If you can, on the morning of open homes, ship the kids off to family or get a baby sitter to take them to the park. Unfortunately we don’t have family in Sydney, but we did ask our regular babysitter to entertain the boys on the day of the auction. Making critical decisions about an auction would be near impossible while kid wrangling. If you are selling a house with kids, keeping the house constantly presentable is a challenge. Often there is kid stuff that you just need to find a place for in a hurry. I know it’s a random idea, but leave some room in your boot for that stuff you need to hide. Often we’d have a basket of washing we’d just gotten in from the line and didn’t have time to put away, so we’d throw it in the boot of our empty car. Work out in advance who is doing what on the day of the open home. Be clear about who is taking care of the floors, who will light the candles or put out the cushions and throw rugs. That kind of stuff. The more you communicate expectations, the smoother the preparation time will be. Be kind to yourself, your kids and your partner. 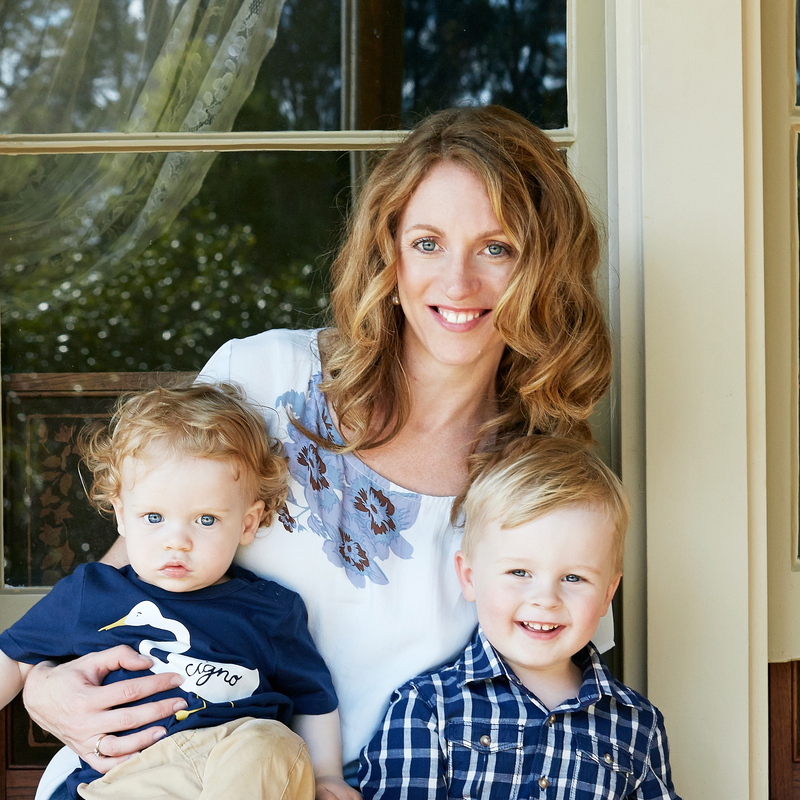 Selling a house with kids will be a stressful time. There may be the odd terse word and raised voices. It’ll feel like a long month, but at the same time, it’ll be over before you know it. Honestly, it wasn’t until a few days after our auction that I realised a huge weight had been lifted from our shoulders. If you are selling a house with kids, good luck. You can do it. If you’ve sold a house with kids, what is your hot tip? I sold my place recently (it was the third I’d sold – and fourth I’d bought) and the Open House stuff always nearly killed me. This agent rarely brought anyone in outside of those times though so I could relax a little. A previous agent was very fussy and would pop in at any time. I don’t have kids but it meant I needed to get everything off benches before heading to work each morning and have ‘clean’ lines and spaces! Thanks for the tips. We are just about to do the same… madly getting everything ready 1st open home is Saturday. When we sold our apartment remember morning of the first open home B threw his weetbix all over the sliding doors this time think one of us will take the boys out whilst the other gets the house ready…v stressful!! Have you found a new place yet?